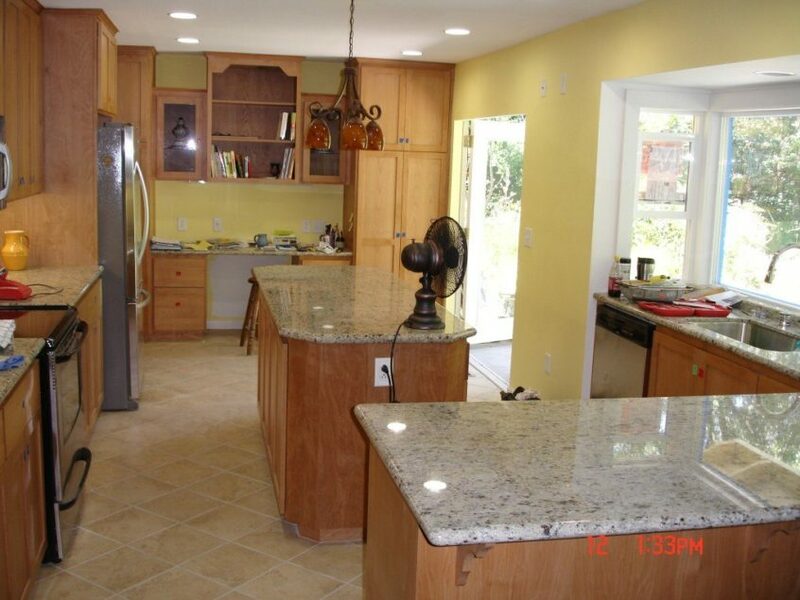 This project involved completely gutting both the kitchen and the diing room and starting over. The new kitchen took on the space of both the old rooms. It included new windows in a bay arrangement at the kitchen sink, a desk at one end surrounded by the pantry cabinets, a large island and a peninsula of cabinets. 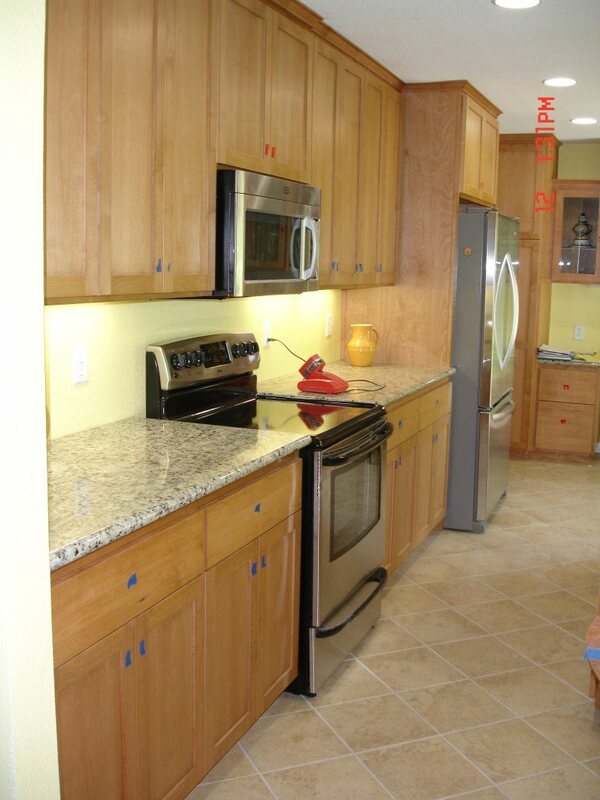 We installed drywall, fresh paint, new lighting, switching and outlets, tile floor, granite tops and new fixtures. The end result was open and spacious yet abundantly filled with new cabinetry that easily absorbed the previous clutter. 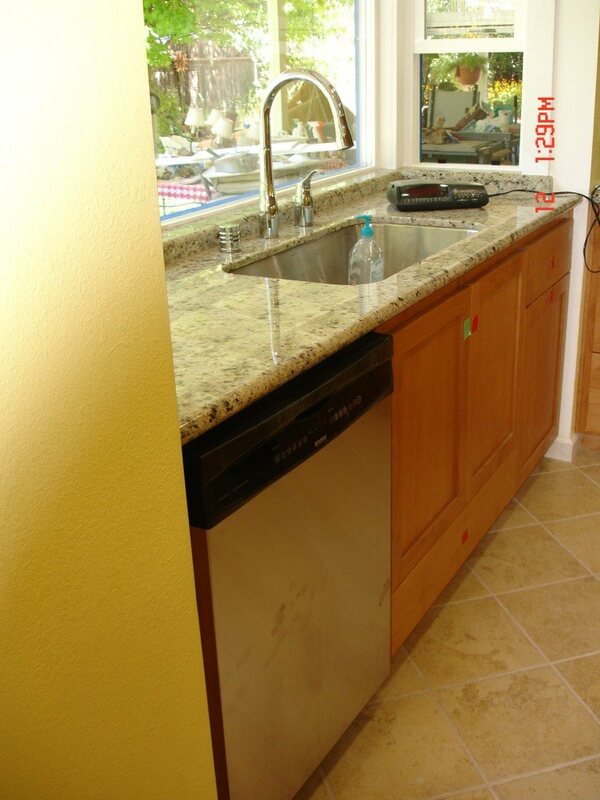 The sink, refrigerator and stove were further apart than before but adding a new island cabinet to provide a hand off station gave the kitchen an easy flow. The kitchen feels spacious yet remains friendly and fully functional. When preparing for a project that involves lots of client/contractor interaction to determine layout and finishes, it’s important to ask questions that prompt informative responses. Sometimes, as in this case, the client has an idea where they want to go but no idea how to get there or what options are available to give them all that they want and more. It’s important to know when to ask questions, when to provide suggestions, when to provide answers and when to simply listen to what a client has to say. Patience at the start of a project can translate into savings in time, money, and customer satisfaction at the end. The goal is that you are as happy with our craftsmen and their performance as you are with the final product.